Successfully Added Global GPS Tracker with Two Way Calling + SMS Alerts to your Shopping Cart. 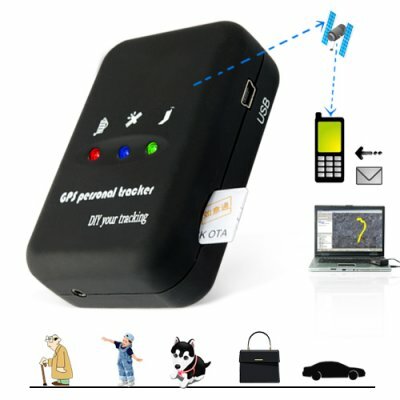 GPS Tracker with messaging and quick call function. This is the best and most affordable GPS tracking system money can buy. What is a GPS tracker? A GPS tracking unit is a device that uses the Global Positioning System to determine the precise location of a vehicle, person, or other asset to which it is attached and to record the position of the asset at regular intervals. The recorded location data can can then be sent via a simple text message using the GSM/GPRS infrastructure operated by major cellular network providers. This allows the asset's location to be displayed against a map backdrop such as in google maps for real time tracking. The two way calling option allows for two way communication. This model comes with a 2.5mm earphone input and a set of earphones, a built in MIC to facilitate communication and boosts a powerful signal, so whether you're in the city or country side you'll still receive a strong signal and be able to fully utilize this GPS tracker. The CVLI-G137 quadband GPS tracker is suitable for use on pets, children and even adults. If you enjoy the outdoors, and often go hiking, or camping, this GPS tracker is definitely a must have to keep your loved ones safe. The world gps tracker is in stock now and available for single and bulk purchases. Get yours today and an unbeatable factory direct wholesale price, straight from the leaders in wholesale electronics, Chinavasion. Just another way that Chinavasion makes life easier for our customers and resale partners. CD contains user manual for many similar models. Please use the GT30 manual for this product. The USB cable is for charging the product and not for interfacing with Google Earth. Manually input coordinates received via SMS into Google Earth to visually track objects.